(503)451-5353. 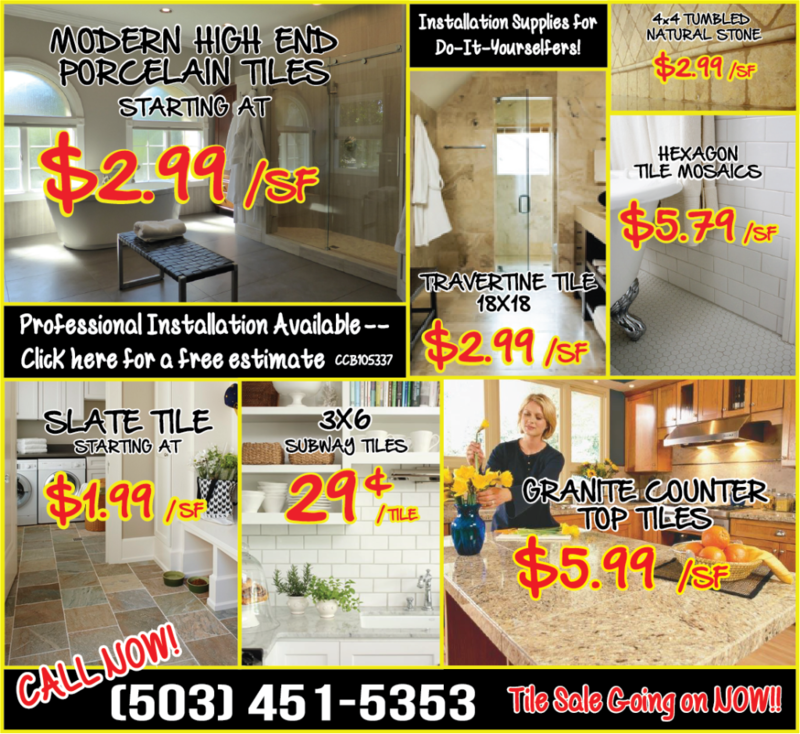 Portland Flooring & Carpet of Oregon City.Tile Sale. Low Prices. Expert Installation. Complimentary Design Consultation. Expert Installation.